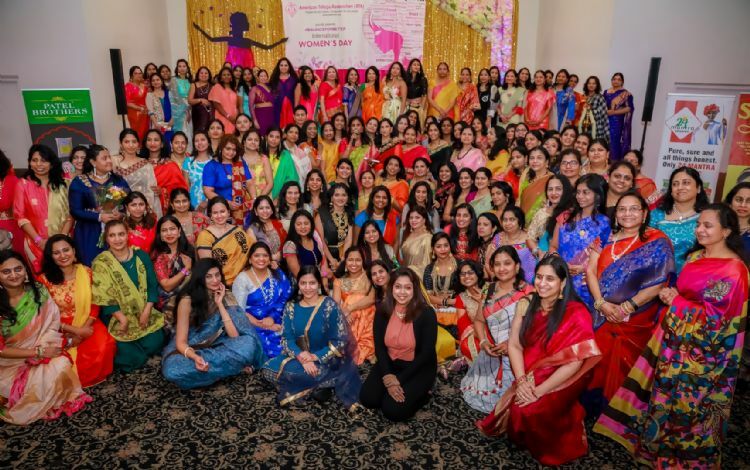 Edison, New Jersey: American Telugu Association (ATA) celebrated International Womens Day on March 10th at Royal Albert's Palace. ATA Women Committee National Chair Smt. 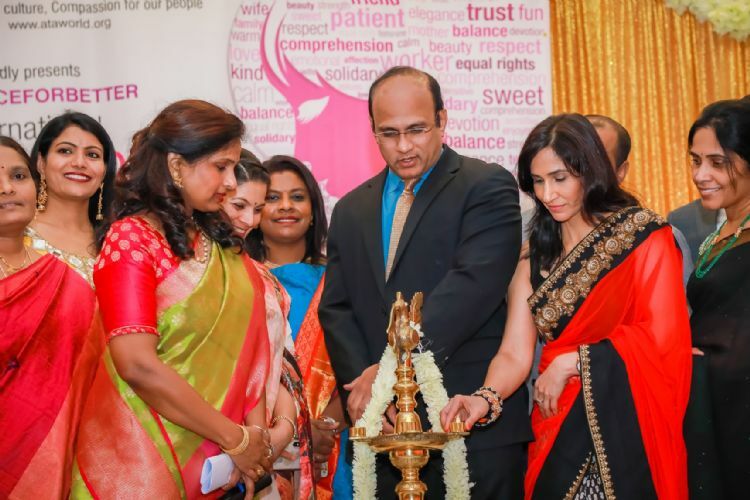 Indira Sreeram Reddy welcomed the 400 plus guests who gathered from all walks of life. 'Balance for Better' was the event theme. As part of the event, there were seminars and guest lectures on Yoga and Homeopathy. A fashion contest was also conducted, games, raffle and dances arranged. ATA board along with members and President Parmesh Bheemreddy felicitated attorney Prashanti Reddy for her contribution to the Indian community especially in matters related to the immigration issues. Indira Reddy said that they raised funds through a raffle to fund the Girl empowerment program that ATA has taken up to help govt schools in Warangal trying to facilitate computers and sewing machines. Shivani Aitha, ATA New Jersey Women's coordinator thanked all the sponsors, vendors as well as the guests for their support and enthusiasm.